PARCA eNews – Jan. 23, 2015 – An expected surge in low-dose CT screening for high-risk lung cancer may not occur right away, in large part due to lack of awareness among primary care providers, according to a new survey published online Jan. 22, 2015 in the journal, Cancer Epidemiology, Biomarkers & Prevention. Researchers at Wake Forest School of Medicine surveyed 212 primary care physicians in 2013 at an academic medical center about their perceptions of the effectiveness of low-dose CT screening for lung cancer, the screening guidelines and their referrals for the screening. 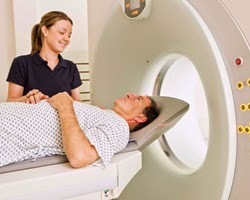 The survey was conducted after the U.S. Preventive Services Task Force (USPSTF) approval of guidelines for screening smokers at high risk of lung cancer using low-dose CT scans, but before the Centers for Medicare & Medicaid Services announced Feb. 5, 2015 that such screening would be covered by Medicare. They found that while 21 percent referred patients for chest x-rays, only 12 percent referred patients for low-dose CT screening. Only 47 percent of providers knew three or more of six guideline components for LDCT screening; 24 percent did not know any guideline components. The researchers concluded that LDCT lung cancer screening is currently an uncommon practice at an academic medical center and that physicians order chest x-rays, which are not recommended as a lung cancer screening test, more often than they recommend LDCT, which is. Referring physicians need a better understanding of lung cancer screening guidelines and low-dose CT effectiveness for lung cancer screening.